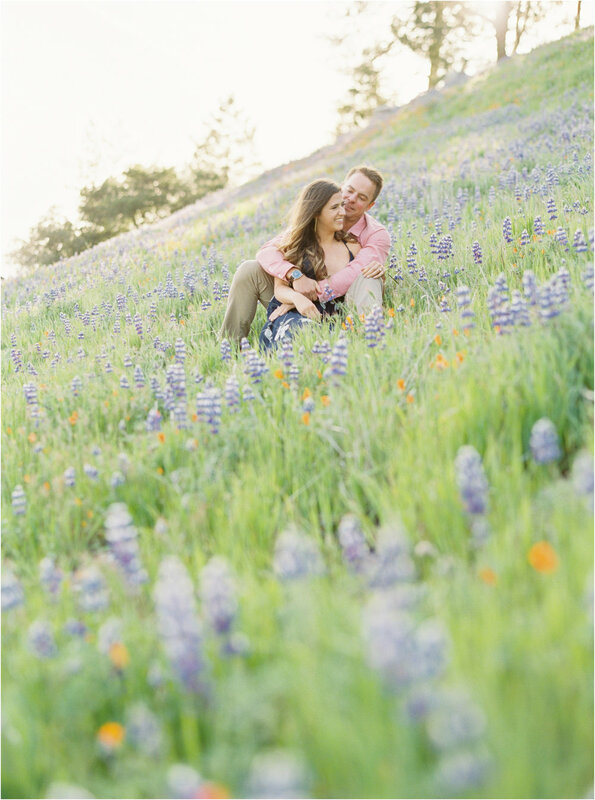 It has been a dream of ours to shoot portraits of a couple surrounded by wildflowers for quite some time. 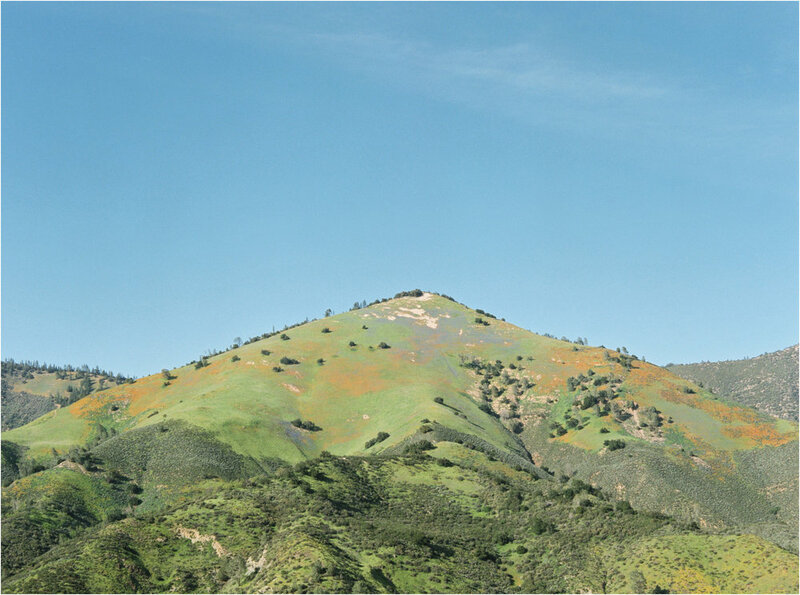 After a particularly rainy winter, a super bloom of wildflowers is popping up all over California and the land is lush and green. 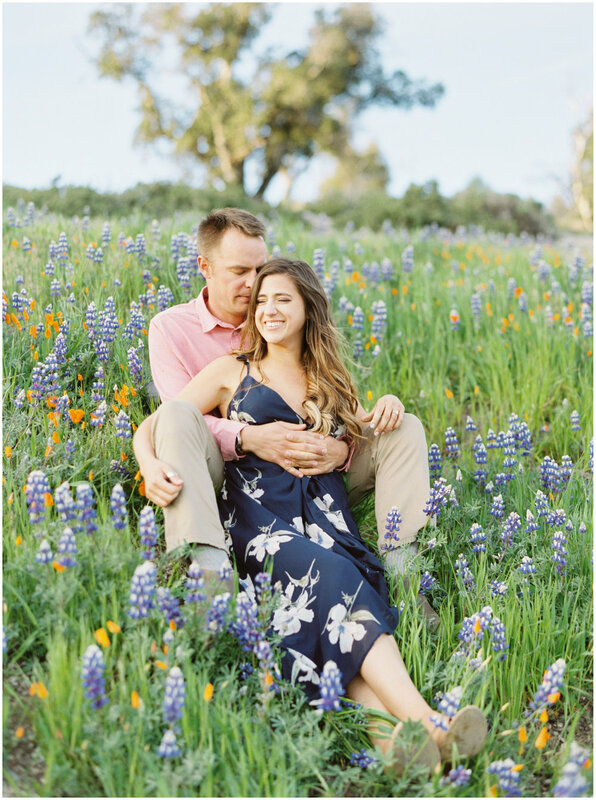 Once we heard that the wildflowers were in bloom nearby at Figueroa Mountain, we knew we had to capture this vibrant and infamous landscape with one of our couples for an engagement session. 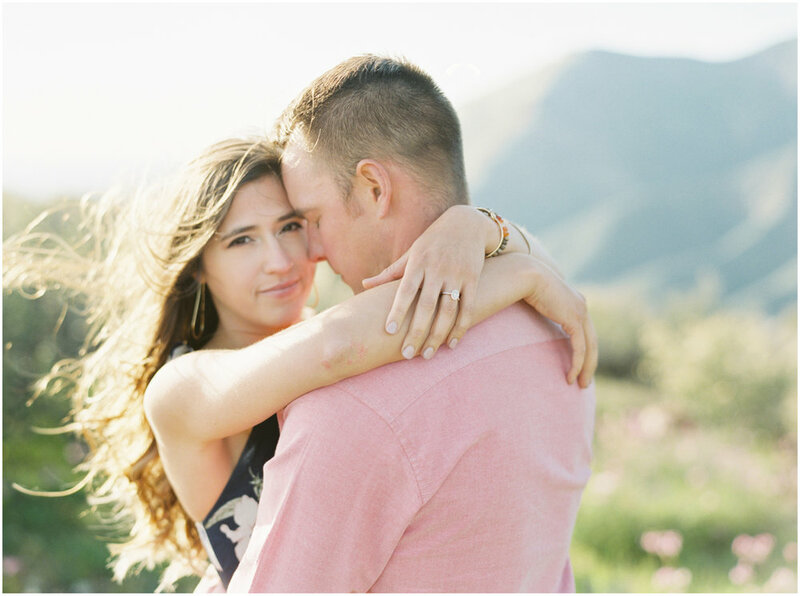 We headed there with Santa Barbara locals Mikayla and Eric, a super sweet couple with a love for adventure and incredible landscapes. 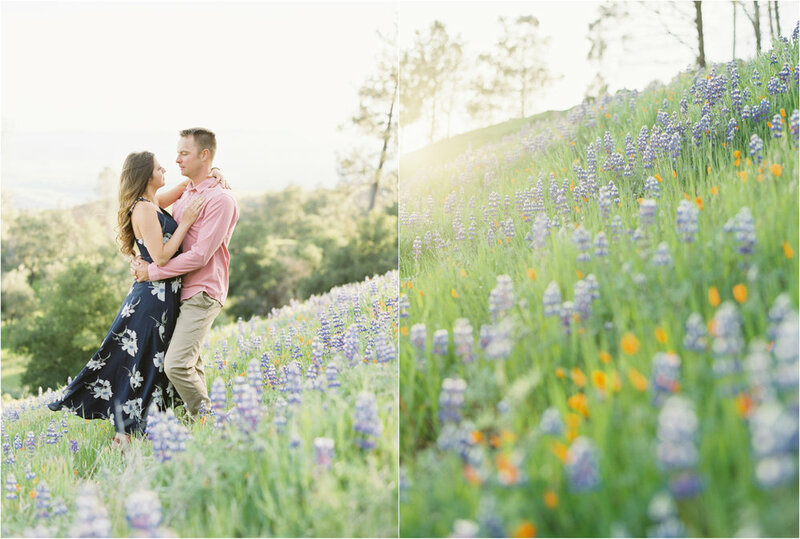 We had a great time with them exploring, playing in the wildflowers, and eating lots of Mikayla's homemade, delicious chocolate chip cookies. 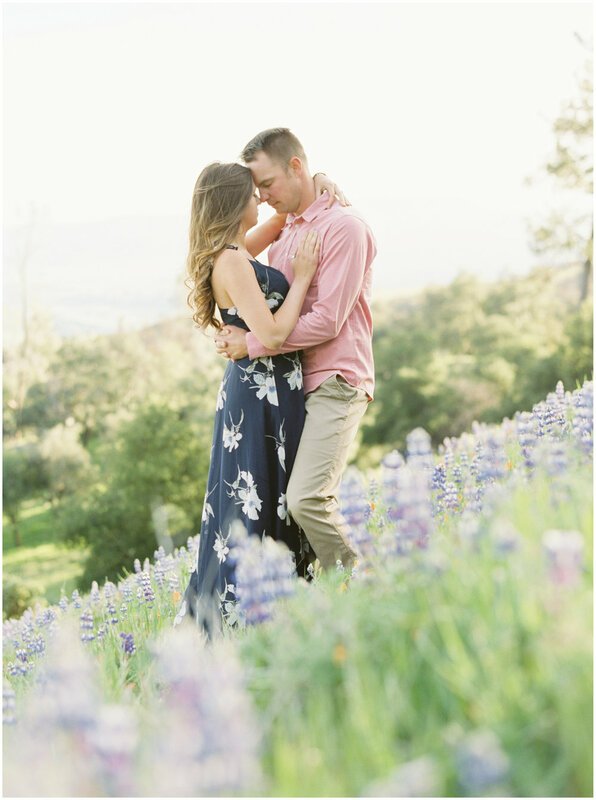 The vastness of Figueroa Mountain as it looks over the beautiful Santa Ynez Valley and the vibrant lupine and poppies created an amazing backdrop for their engagement photos.